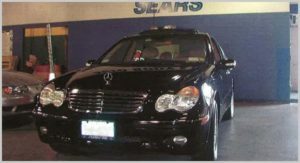 The Body Shop Sears located at 414 N Wantagh Ave, Bethpage NY 11714 is a Bethpage Fleet Repair Service. We service all fleet vehicles for any auto body and collision repair work. We specialize in auto body and collision repair and service fleet vehicles with quick service. We know how crucial it is to have all your vehicles in your fleet available, and this is why we make sure to move the process along quickly. If you have a fleet and have been looking for a Bethpage Fleet Repair Service then look no further than the Body Shop Sears. We are centrally located in Nassau County and have been working with companies with fleet vehicles for the last twenty years. Free towing 24/7, free estimates, wheel alignments, auto body and collision repair, dent removal, paint work, and all other auto body and collision repair services. We help you through the paperwork process and work with many fleet service companies. Call us at 516-933-7327 so we can come down and meet your service manager and explain more about how are services work. Visit us on the web at https://www.theautobodyshopny.com or call us at 516-933-7327. On our website you will find out more information about us, how we can service you and see some before and after shots showing our quality work. We look forward to servicing your bethpage fleet repair service needs. The Body Shop Sears wants you to know we appreciate your business, and if you bring us a new customer by referral we will give you a $100 Amex Gift Card.